Lock in a great price for NH Collection Mexico City Reforma – rated 8.3 by recent guests! The location was fantastic! The staff were very helpful snd the rooms and facilities were everything we could ask for. We absolutely loved this hotel!!! We stayed here for 5 nights during our visit to Mexico City, along with 5 other family members (4 rooms in total). The reason for our visit was our civil wedding and the beginning of our honeymoon. We booked a normal double room but got upgraded to their 17th floor penthouse which had an outstanding view!! Everything we asked for was handled in seconds. The location of the hotel is just priceless, close to almost every main attraction and out of the heavy traffic lines. We will definitely stay here again. Gracias totales!!! It´s new, clean, modern and the location is very good. Service was impecable and 24x7. I loved my check in and out. The front desk was very helpful and courteous. The room was an absolute delight! I felt so relaxed. The amenities at this hotel is wonderful. The in room 24 food service was excellent. Great location close to all of major areas and able to Uber for low fares to the city center. Clean and comfortable rooms. This hotel has a minimalist style that we find relaxing after the bustle of being out and busy all day. The rooms are simple and modern. We stayed in a suite on the 14th floor and it was mostly pretty quiet until the discos nearby got active on Friday night, but even then, the hum of the air conditioning helped the muffle the beat. 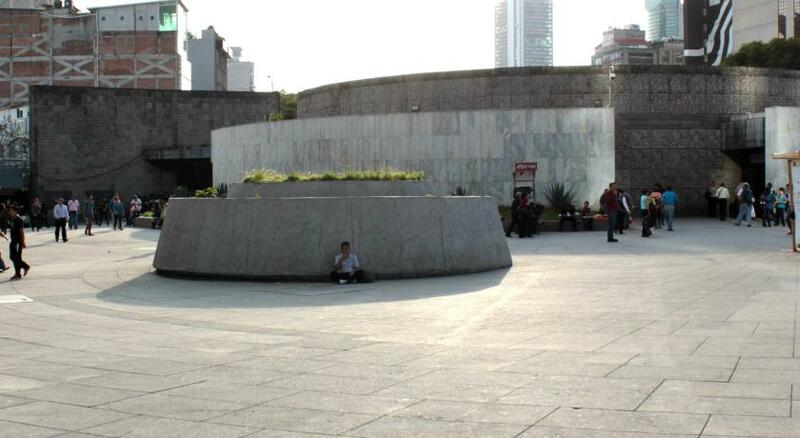 The location is great, easy to walk to Roma and Condesa or over to Paseo de la Reforma and Chapultepec Park. It’s basically a few blocks from or in a Juárez, and we found some great cafes for breakfast, especially Cafe NIN on Calle Havre. The front desk staff were so nice and helpful, with a shout out to Eric on the evening shift. Best breakfast ever! Clean and comfy rooms It was my second stay and probably next time as well I will stay there. Large and light room. Good breakfast, though pricey. The room was very modern in a mostly white style. The bed was very comfortable and the shower was really good, very good water pressure and a nice shower head. Very nice hotel and rooms, great location, very professional staff. We thoroughly enjoyed our stay. NH Collection Mexico City Reforma This rating is a reflection of how the property compares to the industry standard when it comes to price, facilities and services available. It's based on a self-evaluation by the property. Use this rating to help choose your stay! One of our top picks in Mexico City.The NH Mexico City Reforma features an outdoor pool, a restaurant and air-conditioned rooms with satellite TV. It is set in the center of the popular Zona Rosa district and has its own on-site theater. All the rooms come with a Nespresso machine, 48-inch TV, safety box for laptop and European plugs. The bathrooms have rain showers and telephone shower. The Restaurant NH serves creative Mexican cuisine. A breakfast buffet is available each morning. Room service is also available. The NH Mexico City Reforma includes a business center and foreign currency exchange. There are also laundry facilities on site. NH Mexico City Reforma is one block from Insurgentes Subway Station, which provides easy access to Zocalo. 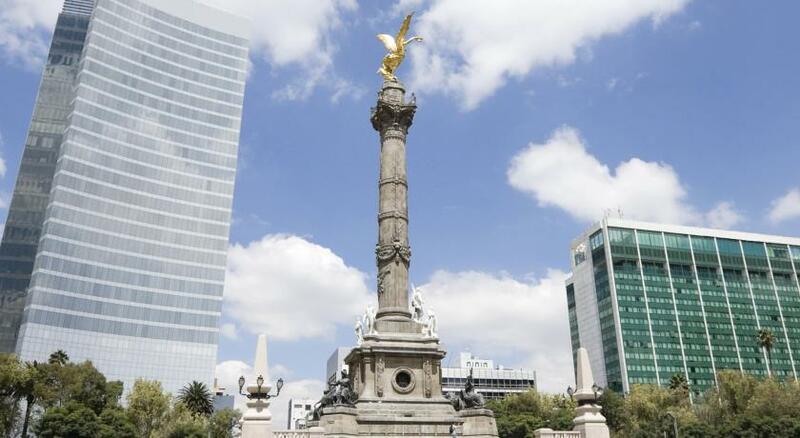 Reforma 222 Shopping Mall is 7 minutes' walk away, while Paseo de La Reforma is less than 1,000 feet from the hotel. When would you like to stay at NH Collection Mexico City Reforma? This suite features a 48-inch TV, Nespresso Coffee Machine, wooden hangers with clips and a safe with laptop plug. The bathroom has rain effect shower, professional hairdriyer and magnifying mirror, plus hygienic bags dispenser. Slippers and bathrobe are included. This suite features a 48-inch TV, Nespresso Coffee Machine, wooden hangers with clips and a safe with laptop plug. The bathroom has rain effect shower, professional hairdriyer and magnifying mirror, plus hygienic bags dispenser. Slippers, bathrobe and TV in the bathroom are included. This hotel is the only property that features its own Theater and very often you will be able to see funny shows or dramatic plays. It is a perfect site to bump with some celebrities. House Rules NH Collection Mexico City Reforma takes special requests – add in the next step! NH Collection Mexico City Reforma accepts these cards and reserves the right to temporarily hold an amount prior to arrival. Please note that the use of the theater has an extra cost.